First for stain removal. New anti-stain technology removes stubborn every day stains. At the touch of a button it cleverly manages water, agitation and temperature to ensure the hardest of stains are lifted, whilst always protecting fabrics. A first, the 40°C phase removes enzymatic stains, and the next phase keeps water temperature at a constantly controlled 43°C. This is the special Anti Stain Treatment phase, which removes 20 of the most stubborn everyday stains. 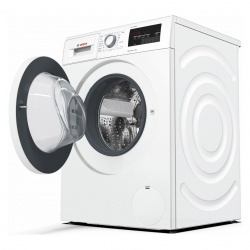 The Polar White finished Hotpoint WMBF742G Washing Machine has a choice of 16 different programmes. The shirts programme is designed to wash shirts with care and ensures that creasing is reduced to make ironing easier. 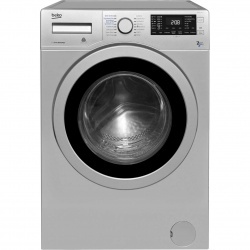 Apart from this, the Hotpoint WMBF742G Washing Machine also has Bed and Bath, Lingerie and Silk programmes. The Bed and Bath programme has been specially designed to wash bulky loads of bedding and towels efficiently in just under two hours, with great cleaning performance. Boasting an A++ energy efficiency rating, a 7kg loading capacity, 1400 rpm spin speed and B spin performance, the feature packed Hotpoint WMBF742G Washing Machine has cutting-edge design that meets advanced technologies. Water consumption 9020 litres per year, based on 220 standard washing cycles. The Bosch WAN28201GB washing machine has an 8kg load capacity meaning it is perfect for large families. Thanks to the A+++ energy rating it will not only get your washing done to a high standard, it will also save you money on your bills. 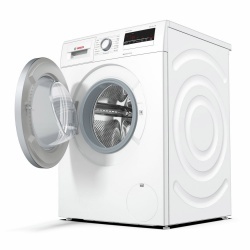 Thanks to the 1400rpm spin speed your clothes will not need to dry for as long after the spin has finished. With 12 programmes which include, dark wash, shirts, sportswear, mixed load, allergy +, super quick15/30, duvet, night wash, drum clean with reminder, rinse/spin/drain, wool and delicate/silk programme, you will always be able to wash your items on the correct setting. Choosing the setting is easy with the dial and thanks to the digital display you are able to see how long is left on each setting during the cycle. You will not have to worry about little fingers playing with the settings as there is a handy child lock and a buzzer to indicate when the washing has finished. 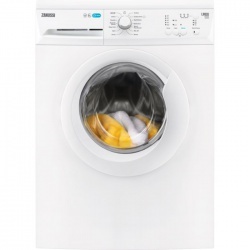 The Bosch WAN28201GB washing machine is a must have for any household who would like to make light work of washing with its many programmes and features. The Hotpoint WMBF944K Experience Eco Washing Machine in black delivers outstanding performance and energy efficiency with its superb A+++ along with innovative wash cycles such as Anti-Stain. The Anti-Stain cycle permanently removes even the 20 most stubborn stains due to its intelligent electronic water and temperature control. Protect your family from major allergens such as pollen and dust mites by using the Anti-Allergy cycle which uses a combination of high temperature and additional rinse stages. Other cycles include Fast Wash, Eco Cotton and Delicates that takes care of your precious fabrics achieved through reduced agitation and a cradle movement in the wash phase. Unbelievable cleaning results, save money on your bills, spacious 9kg drum, awarded the Woolmark Platimum Care endorsement, this washing machine will look the part in your kitchen and can fit around your busy schedule thanks to its delay timer function. WAKE UP TO CLEAN CLOTHES? EASY! Laundry ready when you want it - It is easy to set the finishing time or shorten the cycle to suite you. Delay the start of the washing cycle by using the FinishAt feature and select at what time you would like your laundry to be finished. Keep track of when the washing is ready in the large display. 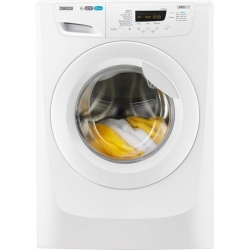 If you quickly want to wash some clothes, the 20-minute Refresh programme on this Zanussi washer is ideal. The cycle will be done in no time, and you'll be ready to get on with the fun things in life! The quick and easy everyday wash program of 30 minutes at 30° is pre-selected when you turn on the washing machine. All you have to do is press ‘start’ – and you’re off! The detergent dispenser is always clean, thanks to the high pressure water jets, leaving no sticky residues and preventing mould to form. Equipped with an advanced EcoSilence Drive™ motor, this appliance gives you maximum efficiency, economy, durability and performance while operating with an exceptionally low noise level. Bosch are so confident that it will deliver a quiet revolution that it even comes with a 10-year guarantee. 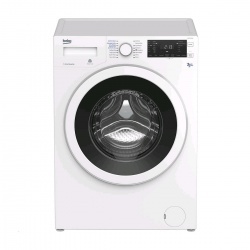 Combining a very generous 9kg drum capacity with an impressive A+++ energy rating, this Bosch WAT28371GB washing machine delivers an energy efficient wash, even for larger loads. It can also maintain a quick 1400 spin speed too. Perfectly engineered for family life, this appliance boasts a super quick wash program that can get through 2kg of lightly soiled laundry in just 15 minutes! 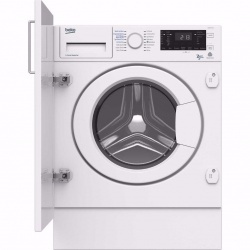 For your peace of mind, it also comes with a unique Wavedrum structure and uses precise drum movements for constant water flow and even detergent distribution. The paddles treat your laundry gently or roughly depending on the material, so that you know your clothes are always in safe hands.